Writing is an art field. it is the way of expressing one’s thoughts, feeling and imagination to the others in the textual form. Writing can be a hobby, it can be a profession or it can be the amalgamation of both. Who are writers and what attributes they are having?? The writer is not just who only writes. Writers use their own techniques to produce various forms of creative writing & literacy art such as articles, poems, story, screenplays, plays, short stories, novels, magazines, etc. Professional writer are those writers who have specialization in a particular field for eg. Politics, sports, science, technology, business, social matters, poetry, fiction, screen play etc. These professional writers have got vast knowledge and experience in their respective field, for them writing is both the hobby and a profession. Get Latest Career Notification about Creative Writing Courses, by entering your details below. 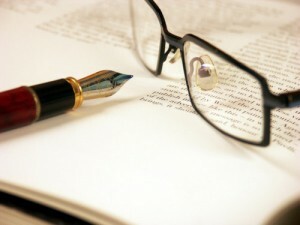 The term writer is often used as synonyms to “author”. The author is a writer who writes something for books, stories, articles, novels, etc. A writer may use images such as drawing & painting, graphics or multimedia to show their writing skills. Creative writing is that form of writing which comes out of one’s deep imagination, skills, knowledge and goes beyond the bounds of technical forms of literature. Any writing whether it is fiction, non-fiction are all comes under creative writing. The purpose of creative writing is to both share human experiences & entertain. If you are someone who is passionate about writing, if you have wide imagination and thoughts and you want to express them in the power of words, so as to communicate with others, than this field can provide you with lots of opportunity. The student who wishes to make his future in this field, must have a good command in English, he should pass class 12th (any stream). Some colleges have open admission policy for this course. The person who is already doing job somewhere and want to join the writing profession can go for online writing course. There are a number of schools/colleges who offer online writing course. There are distance learning programmes in writing for the job doing persons. There are no set requirements to become a writer. You will need to have a good research skills, able to come up with the ideas that will sell & able to express ideas in style. The basic requirement to become a writer is a bachelor’s degree in key skills which is includes writing skills, originality, ability to work independently and self-promotion ability. Those hold the bachelor degree in English, journalism and communication can also pursue their career in writing. The person belongs to liberal arts can also apply to become a writer. If you have got skills and creativity than this field will provide you with lots of opportunities. The scope and opportunities for professional writers are huge both in print and e-media. The best part is a person can even work as a freelancer. The professional writers are generally hired by media companies, big MNC’s, online article publishing portals. There are various numbers of things you can do to develop your writing skills such as blogging, joining a local writer’s group & entering writing competitions. You can write for websites, social media or blogs. You can also work in TV or radio industry as a scriptwriter. You can also able to become a technical writer for industries such as pharmaceuticals or engineering. You can join the leading newspapers, magazines & also work in journalism area which helps you to get into broadcast writing. You can work as a creating guide book, features, travel writer, hotel reviews or travel novels. Language Skill: The four language skills that you should have are listening-speaking-reading-writing. These four skills are necessary to know for the communication. Imagination: It is very important parameter that should be in any person to become a writer. Without imagination you can’t write anything such as story, article, poem, music, lyrics, etc. Vocabulary: Increasing your vocabulary is very must for the writing. If you should know the numbers of words, then you can make a complete story. Research: Research is the primary work which should be done at the very first stage of starting writing. If you should do a research on a particular topic in which you want to write something, then it should be best to research first. Communication: To communicate with your words, you should know the correct way of communication. Way of Express: The way of expressing something should be in proper sequence of words and be in an effective way. The salary in this field totally depends upon your caliber and experience. The salary in this field also varies from company to company in which an individual is working, often many professional writers’ works with more than one organization and at the same time work as a freelancer. As a fresher in this field you can start from Rs. 8000 to Rs.15,000 after 2 or 3 years experience you can easily earn anywhere between Rs. 25,000 to Rs. 40,000. Some of the expert writers can even make 6 figure incomes. There are various awards given to the writers to appreciate their work experience or what they shared through their writing skills. There is a literary award, which is given by the individual countries. International awards such as Nobel Prize in Literature are also offered for the excellent writers. If you have any query about Writer, you can ask your query below.